A new version of my swing handle basket…… it now has the option of a shallow drop-in tray. Available in the usual timbers I work with, European oak, North American cherry, and black walnut. Delivered today for Just Makers autumn wood show, in the Bath House at RHS Harlow Carr Gardens. 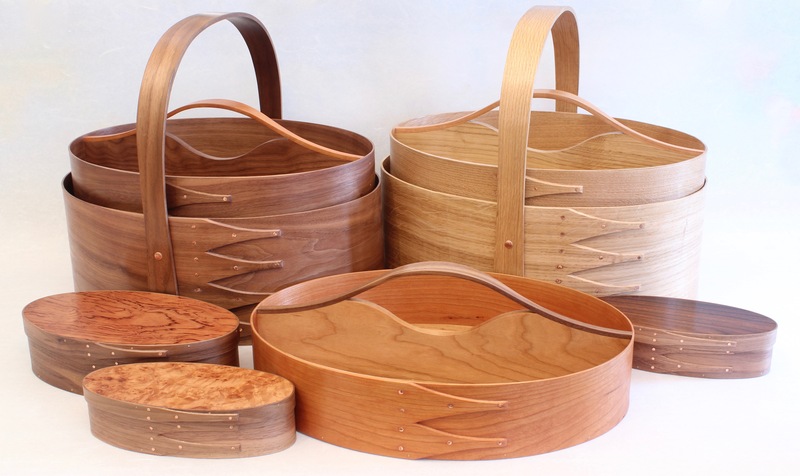 Dansel Gallery in Dorset specialises in retailing high quality wooden objects and furniture. I have exhibited there since 2016, and periodically send them, on request, items to top up items of mine that have sold, such as these fruitboats. My first craft show, lots of good contacts made, and some sales too, so my work is now in more galleries around the United Kingdom. Neoliberalism: was 2016 when its extinction began?